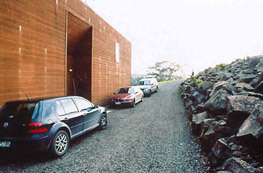 left: design for Kawhia Harbour House/Studio. 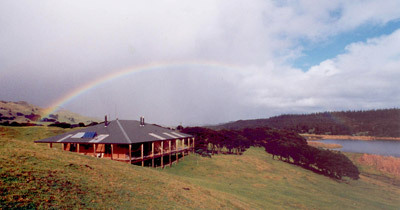 right: Lake Kereta House, South Kaipara Head. Contemporary version of ‘Queenslander’ with hybrid wind/solar power supply. below: Fraser House, Helensville District – entranceway and preliminary illustration. Also independent of national power grid.